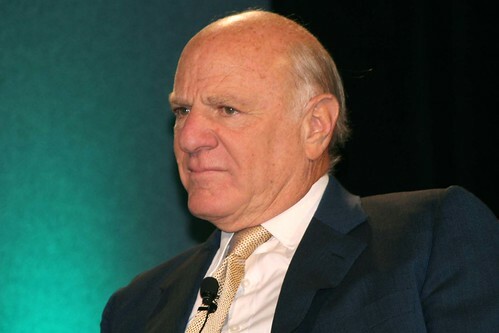 Barry Diller, who has led TV networks, movie studios, home shopping empires and now a variety of online companies, is a person who demonstrates an eagerness for experience. I worked directly for this mercurial mogul for nearly a year when he was running QVC. During that time, we unsuccessfully tried to take over Paramount Communications and then CBS Television. Diller loves change and loves shaking up his staff so much so that we were always scrambling to incorporate the latest technology and information systems. He loved to travel: planes, boats and helicopters. You haven’t lived until you’ve choppered into mid-town Manhattan. His appetite for new experiences pervaded his life in large ways and small. He wanted to ride the wave of technological disruption in retailing and I once watched him roam around a small table, sampling three different dinners in his apartment at the Waldorf-Astoria. He was always experimenting, always looking forward to the next opportunity. The strongest individuals thrive on steep learning curves and get bored with the status quo relatively rapidly. Sabeer Bahtia, who co-founded Hotmail, told me that creative and ambitious people look for their next job within two years of landing their current positions. I challenged him, until I realized that throughout my career, I had done just that. I may not have moved within two years, but within a couple of years, I was always at least preparing for the next move. Being open to new experiences is why these happy high achievers are also good at getting outside their “comfort zones,” because for them, doing the same old thing is uncomfortable. They don’t just accept, they welcome constant change and the exhilaration of being slightly off-balance. Donald Van de Mark is a speaker and has interviewed hundreds of leaders in business and politics including: Andrew Weil, MD, former U.S. Senator Bill Bradley, Jack Welch, Starbucks’ Howard Schultz and Intel’s Andy Grove, in his nearly 3 decades as a correspondent and anchor at CNN, CNBC and public television. He is the host of The Wisdom of Caring Leaders, a leadership skills training video used by corporations and schools. This entry was posted in change, HR, leadershipskills, teams and tagged Andy Grove, barry diller, bill bradley, change, comfort zone, donald van de mark, happiness, high achievers, high potentials, howard schultz, jack welch, media moguls, peak performers, retailing, technology disruption. Bookmark the permalink.